We have a large basket of Christmas books that is taken out the first Sunday in Advent. We've read through the books in the basket numerous times this season. The other night I asked my children to pick their very favorite. Click here to read more and find out the WINNER. 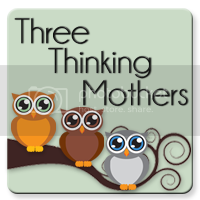 I'm at Three Thinking Mothers today talking about our favorite holiday books!